II-VI provides optimum thermal management solutions for companies who develop and manufacture equipment for the Biomedical Industry. Many fields throughout the medical industry utilize II-VI thermal solutions, including Life Science, Genetic Analysis, Immunoassay, Pharmaceutical Development, Clinical Diagnostics, Food Analysis, Agricultural Development, Environmental Analysis, Industrial Hygiene and Identification of Bio-Threats. Applications include thermal cycling, temperature stabilization, precision air temperature control and precision fluid temperature control. The II-VI design lab ensures product development of the highest quality by conducting key tests: steady state, transient electrical performance, thermal shock, mechanical shock, vibration/acceleration and vacuum leak, life, shear and burn-in/power cycle. 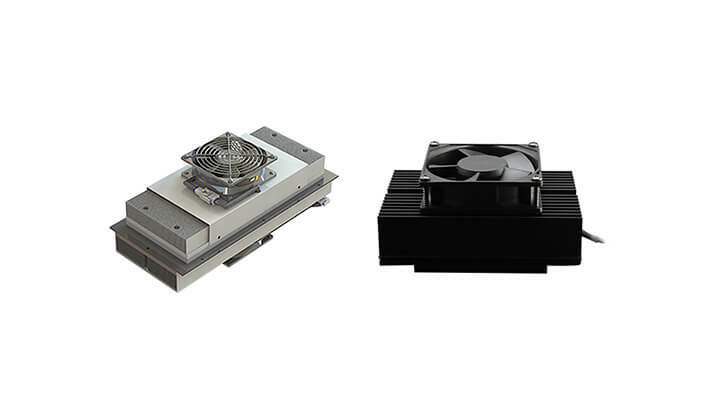 While II-VI designs customer thermoelectric coolers, we also provide designs for your entire thermal engine, including cold plates, heat sinks, thermal interface material, sensors, thermoelectric modules and fans. II-VI offers a highly trained sales, engineering and customer service team solely dedicated to supporting the medical market. Our extensive experience in developing and integrating reliable thermoelectric devices into medical equipment applications remains a valued advantage for our customers. In the field of life science research, accuracy is crucial. II-VI’s extended life thermoelectric cooler (XLT) product line provides reliable cooling for PCR applications that require fast thermal ramp rates, real-time detection controls and the ability to simultaneously perform multiple cycling protocols to detect multiple targets in a single test cycle. A II-VI XLT cooler offers reliable service for over 500,000 thermal cycles from 10 to 100°C, maintaining superb module uniformity (+/- 0.5 °C) and achieving typical ramp rates of 8°C/sec. II-VI’s proprietary manufacturing procedure for controlling stresses ensures the XLT high reliability and performance capabilities. II-VI engineers can also custom-design an XLT device to optimize performance for your specific application and control scheme. The PCR technique, used primarily in molecular biology, amplifies segments of DNA by systematically raising and lowering the temperature of a block that holds the PCR reaction mixtures. These thermal cycling steps separate the strands of DNA double helix, and then duplicate them through polymerase synthesis. PCR technology, facilitated by thermoelectric cooling, allows researchers to amplify a single or few copies of a piece of DNA across several orders of magnitude, generating millions or more copies of the DNA strand. II-VI’s XLT series operate at the heart of PCR thermal cycler modules, unparalleled in their ability to fulfill PCR requirements including thermal uniformity, repeatability, accuracy and speed. DNA sequences encode the necessary information for living organisms to survive and reproduce. Determining DNA sequences, therefore, proves crucial to all areas of biological research. Scientists can use DNA sequences to identify, diagnose and potentially develop treatments for genetic diseases or research pathogens that may lead to treatments for contagious diseases. II-VI’s XLT series of thermoelectric coolers provide the precise temperature control, cycling speed, thermal uniformity and long-term reliability required in today’s complex genetic sequencing machines. Advances in the fields of hematology, microbiology and molecular biology continue to drive requirements for higher performing analytical equipment. Environmental circumstances and recent developments in detector technology require reliable thermal management to allow equipment operation at extreme temperatures. 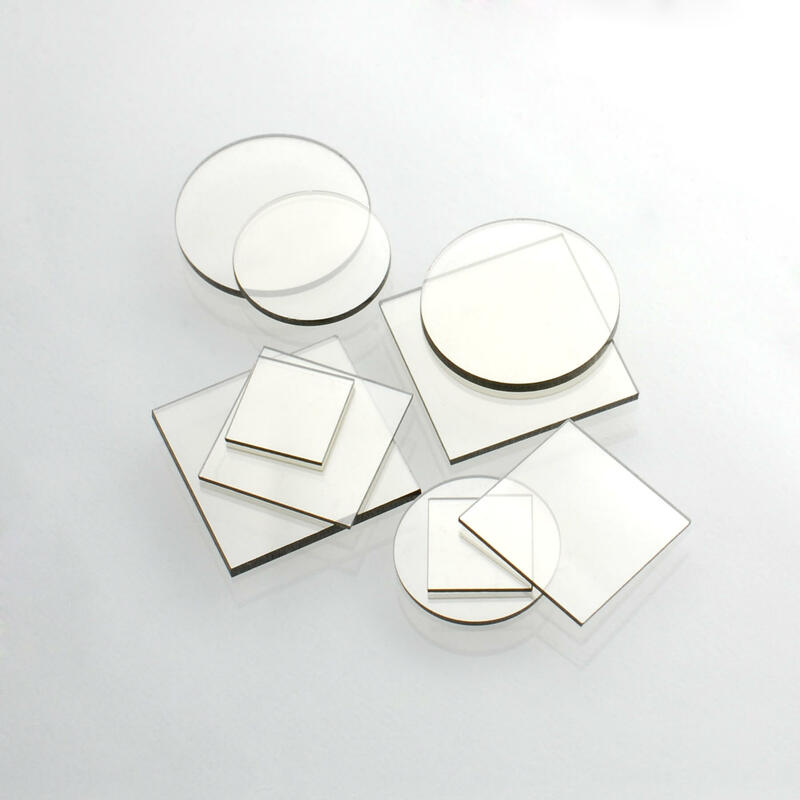 II-VI Marlow has specifically formulated and developed a family of low-temperature-range thermoelectric materials to address new demands in such key scientific fields. II-VI Marlow quality materials allow the II-VI Marlow designer to develop coolers that match your application size, weight and power conservation requirements while providing reliable thermal stabilization at extreme temperatures. II-VI Marlow coolers in this program, for example, provide temperature stabilization at 140 degrees Kelvin for various space applications. 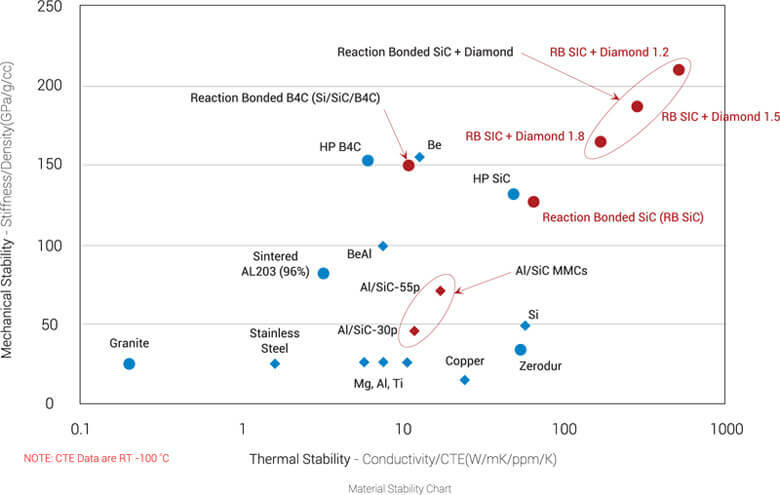 II-VI Marlow continues to drive material research and development capability to ensure the highest performance on extreme low-temperature-range thermoelectric materials. Medical researchers conduct various types of analysis that utilize high-quality image sensor technology, including charge-coupled devices (CCD). A phenomenon known as “Dark Current,” a small electric current that flows through the CCD, often disrupts the CCD image resolution. Cooling the CCD to low temperatures reduces the array's dark current, thereby improving imaging resolution. Maintaining low temperatures further enhances image quality by improving CCD sensitivity to low-light intensities, including ultraviolet and visible wavelengths. II-VI Marlow thermoelectric coolers provide CCD cooling for near-room temperature to 170K (-103°C). A thermal Imaging Camera contains a sensor that reacts to infrared energy from surrounding objects and coverts this “thermal signature” to a visible image. These images are critical to the advancement of Medical Thermology, the science of deriving diagnostic indications from highly detailed and sensitive images of the human body, applying to the following fields of study: breast oncology, dentistry, neurology, orthopedics, occupational medicine, pain management, vascular medicine/cardiology and veterinary medicine. II-VI Marlow thermoelectric modules stabilize the temperature of a thermal image camera infrared detector, ensuring the highest image quality from external photonic sources. Single Photon Counting Modules (SPCMs) are self-contained modules that offer market-leading photon counting performance in a variety of cutting-edge applications, including Particle Sizing, Confocal Microscopy, Ultra-Sensitive Fluorescence, Single Molecule Detection and Quantum Communications. The SPCM utilizes a unique silicon avalanche photodiode that must remain at a cool, consistent temperature to ensure maximum photon detection efficiency. II-VI Marlow multi-stage thermoelectric coolers achieve the necessary photodiode cooling and temperature control to guarantee module reliability. Digital high-speed cameras require state-of-the-art electronic technology. The CCD (charge couple device) of a digital camera allows for high sensitivity and fast readout while maintaining high dynamic range and low image lag, and demands thermoelectric temperature management to function properly. The precise temperature control provided by the II-VI Marlow thermoelectric cooler provides the stability necessary to meet the digital camera speed and sensitivity requirements. The hand-held portable detector identifies potentially harmful products in our food, environment and agricultural products. 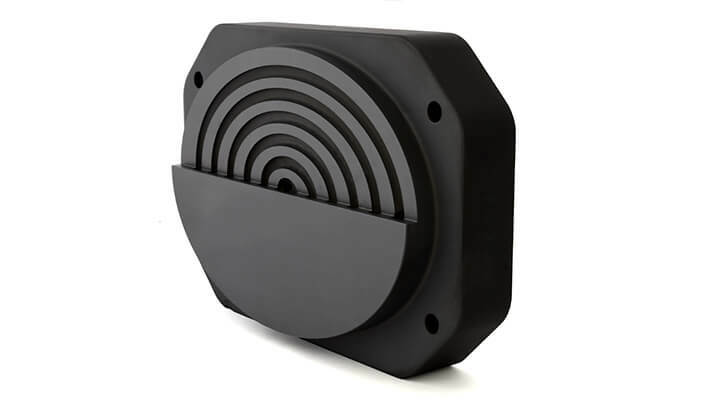 This all-optical Raman system is designed for use by first responders, homeland security, military, law enforcement, food industry, agriculture and environmental business. A key component in the detector system, called a charge-couple device (CCD), must remain at a specific temperature for the detector to provide accurate readings and results. II-VI Marlow provides thermoelectric coolers that match the CCD temperature requirements and ensure reliability for portable analytical equipment in ultra-sanitary or rugged outdoor conditions. Deep depletion cameras offer superior sensory performance for a variety of applications, including Raman Spectroscopy, astronomical imaging and Bose-Einstein Condensate imaging. Every day, leading labs around the globe use these new imaging systems to conduct revolutionary research. These new cameras utilize proprietary back-illuminated and deep depletion sensor technology to provide significant improvements in sensitivity and fringe suppression. This novel design has all the necessary essentials for tackling demanding low-light-level imaging applications. The system now supports the world's first high-resolution, back-illuminated, deep-depletion imaging CCD for no-compromise performance in the NIR region (<1150nm). II-VI Marlow currently provides the deepest thermoelectric cooling (-90°C) with no liquid assist to a new deep depletion CCD camera platform. Advanced lasers used in the aesthetic medical market require thermoelectric cooling to extend laser life and increase patient comfort. II-VI Marlows’ engineering team develops customized thermoelectric modules to provide laser cooling and match specific laser application requirements. The quality of life for many individuals depends on early detection, diagnosis, monitoring and prognosis of diseases. Precise temperature control of specimen samples and reagents enhance specimen quality, thereby allowing for accurate clinical tests. Thermoelectric heating and cooling systems prove the optimum solution to meet stringent clinic and laboratory requirements. II-VI Marlow provides thermoelectric heaters/coolers for air-to-air or air-to-cold plate thermal exchanger systems to allow immunoassay reagent cooling, in vitro diagnostic specimen temperature control, genome sequencing reagent cooling and general cooling units for the storage and transportation of insulin, tissue and human organs. II-VI Marlow thermoelectric coolers are quiet (no moving parts), low-voltage D.C. and can be sealed to meet required sanitary specifications. The versatility of the II-VI Marlow thermoelectric cooler allows for precise temperature control of the cold plate or cold-side air stream, and the D.C. current polarity can provide both heating and cooling from the same module. To measure the concentration of a substance in a complex mixture, scientists conduct a biochemical test called an immunoassay. Machines in hospitals and clinics typically perform hundreds of immunoassay tests in one hour. Hundreds of reagents are used to provide analytical results for a number of diseases, including those related to anemia, bone metabolism, prostrate health, reproductive health, diabetes and many more infectious diseases. Analysis results often rely on reagent temperature accuracy. II-VI Marlow manufactures thermoelectric air-to-air chillers designed to maintain the immunoassay reagents at a consistent temperature of approximately 4°C. Specimen receptacles, a form of in vitro diagnostic medical devices, are utilized to contain and preserve specimens derived from the human body for the purpose of in vitro diagnostic examination. These tests serve a variety of purpose,s including blood supply protection, drug-level monitoring, and disease diagnosis and treatment. II-VI Marlow manufactures thermoelectric air-to-air chillers designed to maintain the specimen receptacles and reagents at a very specific temperature to ensure the reliability of the test being performed. Proper preservation of vital samples including reagents, insulin, specimen samples, tissue and human body organs requires specific temperature control options. II-VI Marlow provides thermoelectric coolers to meet specific application temperature requirements. These thermoelectric coolers are compact, portable and allow the user to program temperature ramps and set points, thereby proving thermoelectric technology the natural cooling method for such medical applications. Thermoelectric heating and cooling systems often emerge as the optimum solution to meet the low-voltage and sanitation requirements for physiotherapy and hospital operating room environments. II-VI Marlow's thermoelectric heaters/coolers, integrated in an air-to-liquid thermal exchanger system, provide temperature conditioned fluids for several applications including, controlling blood/plasma temperature, laser cooling systems, physiotherapy pads, patient whole body cooling/ heating blankets and burn trauma treatment systems. II-VI Marlow TECs are integrated into systems that sandwich the TEC with a heat sink on one side and a liquid-filled exchanger on the other. The TEC versatility allows for precise temperature control of the fluid. A customer control scheme can be programmed to provide infinite fluid temperature control across the system’s entire heating and cooling range. physiotherapy environments and routines often require strict temperature control. Thermoelectric technology allows for maximum temperature accuracy, control and overall customer convenience, eliminating melting ice cubes, chemical sprays or the negative side effects of moving parts. II-VI provides thermoelectric coolers (TEC) for various physiotherapy applications. The solid state thermoelectric cooler enables portability, efficiency and quiet operation, thereby creating a more comfortable clinical environment and improving treatment results. The thermoelectric cooler also allows heat and cooling control from the same source, preprogrammed set points and ramp rates. The reliability of II-VI thermoelectric coolers meets the needs of numerous physiotherapy applications, including localized thermal therapy, contrast therapy, soft tissue therapy, lymphedema and pain management. Thermoelectric operated chillers are compact, quiet, CFC (chlorofluorocarbon)-free circulating systems that stabilize the operating temperature of equipment, such as digital X-ray plates, or remove excess heat from lasers and similar medical devices. II-VI Marlow provides thermoelectric modules that cool recirculating chillers, enabling these systems to match applications that require tight fluid temperature stability and control (±0.15°C ) with a smaller heat load such as medical equipment, analytical instruments, power supplies, electro-optics, electronic components and electrophoresis gels. Liquid-to-liquid thermal control systems require portability and precise temperature control. II-VI Marlow provides thermoelectric modules that ensure specific temperature control of a water medium within the thermal system. II-VI Marlow’s thermoelectric heaters/coolers, integrated into a liquid-to-liquid thermal exchanger system, provide the ability to control the temperature of sanitary fluids such as blood and plasma. Integration of a II-VI Marlow thermoelectric system into a liquid-to-liquid thermal exchanger provides the ability to control blood temperature while it is outside the body during certain surgical operations. Regulated by a temperature sensor located in the bloodstream, the thermoelectric system provides precise control of the blood temperature as it circulates through the liquid-to-liquid exchanger. The compact design of a thermoelectric cooler allows for convenient portability and integration into sanitary medical applications. II-VI Marlow develops and manufactures thermoelectric coolers that ensure safe and reliable temperature control for crucial medical applications.